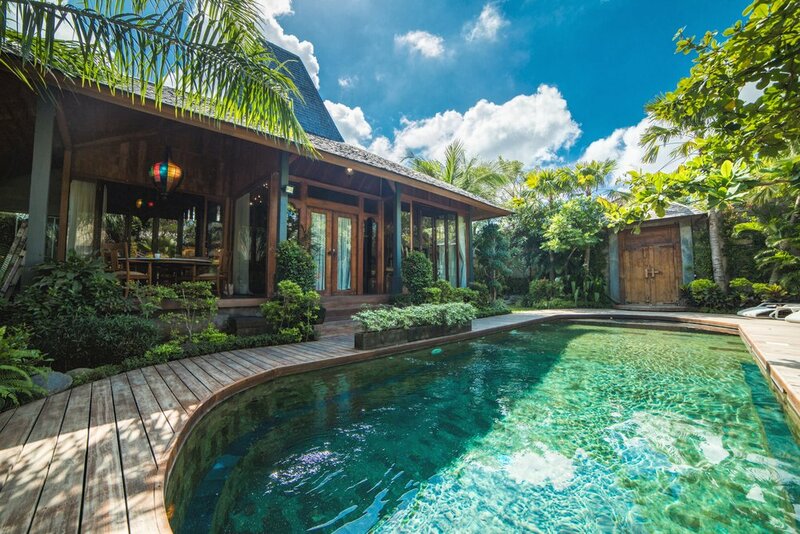 Villa Saké is your own private villa set at the end of a quiet laneway, with its own massive 12 meter swimming pool surrounded by tropical gardens. 4 bedrooms sleep up to 10 guests comfortably. Shut the rolling glass doors and turn on the air conditioning inside the villa to a game of billiards or a Japanese style tea party, or relax to a good book in one of the multiple seating nooks placed all around the villa for some privacy. A large manicured lawn is perfect for the kids to run around on or a picnic lunch in the shade of palm trees. This exceptionally large villa provides a loft family room upstairs with a king-sized bed, and a separate double bed perfect for a small family or group of friends who wishes to stay close. Timber decking and the swimming pool separate the main Joglo villa from a separate 1-bedroom bungalow with an en-suite bathroom. This bungalow is perfect for couples who would like some privacy during their stay. Designed by a Western architect, Villa Sake was build in a traditional Joglo style using only the best teak wood, and polished concrete. 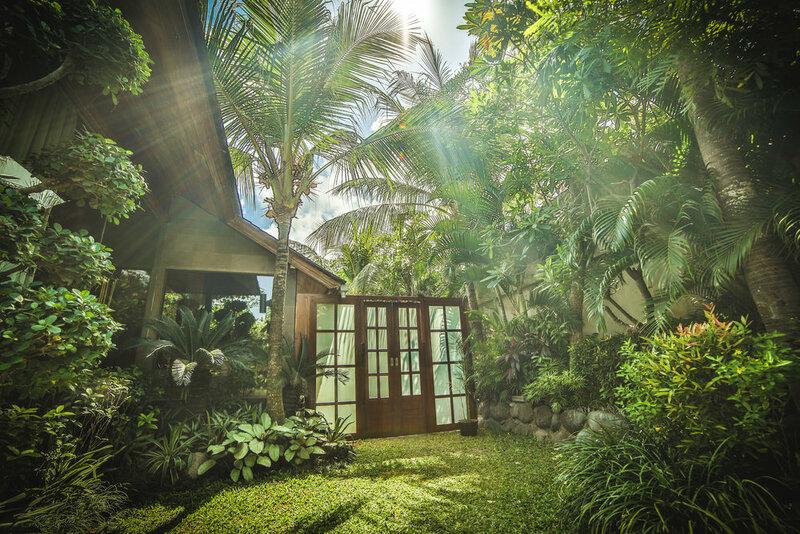 We chose to close off the villa using rolling glass doors so our guests could enjoy air conditioned comfort while still lavishing in the tropical oasis that surrounds them. "Wow, absolutely breathtaking. 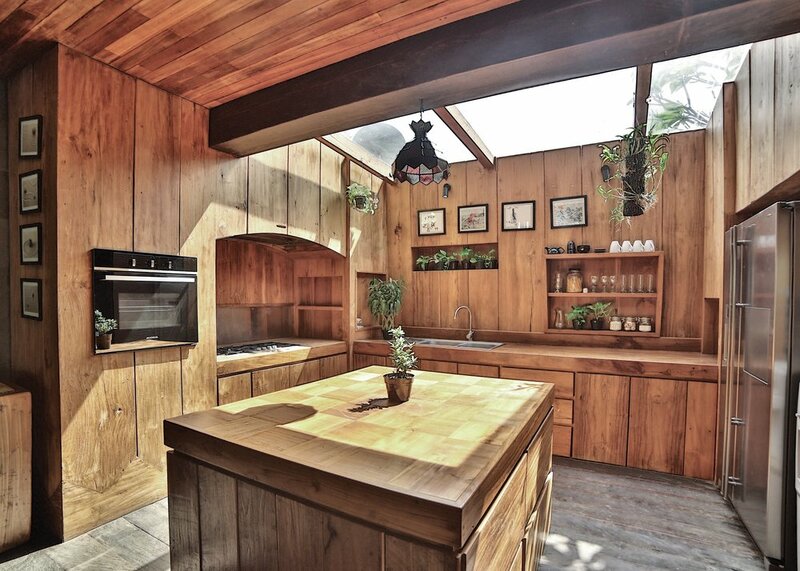 From the moment you walk in you're left feeling like your in a tropical Japanese inspired oasis. 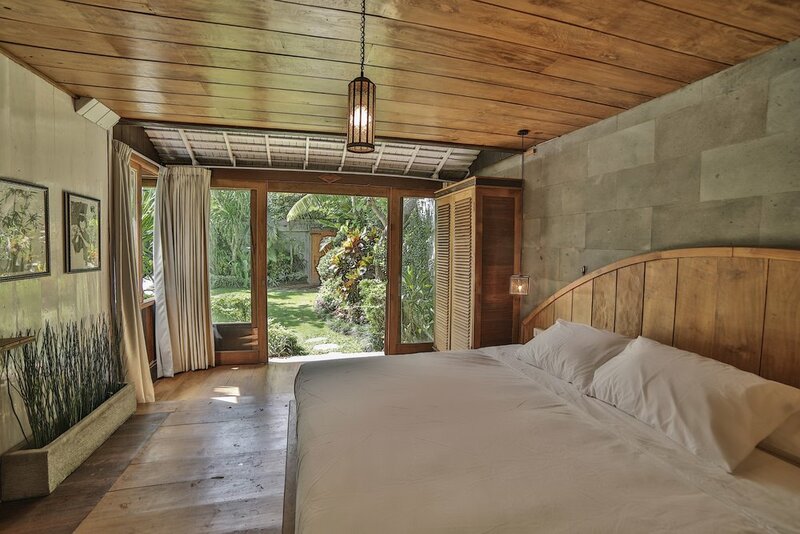 The newly built villa has in-closed living which is fully air conditioned with the option to open all the sliding doors to feel the fresh tropical breeze. These designers have really thought of everything. The management team was also very impressive with Ara the manager making our stay easy and comfortable. We couldn't recommend this place enough. Excited to come back later this year! Thanks for having us."